Following Hannibal’s defeat by Publius Cornelius Scipio at the Battle of Zama in 202 BC, Rome dramatically reduces the size of its Army and withdraws her Legions from Northern Italy. Carthaginian General Hamilcar though had remained in Northern Italy after Mago’s defeat in 203 BC to stir the Gauls to rebellion against Rome, leading to the sacking of the Roman colony at Placentia and the siege of the colony at Cremona. Rome responds to the threat by sending three Legions to the area who come face to face with 35,000 Gauls in the Battle of Cremona. Shortly after the battle, Legio XVII is forced to take refuge on a hill and fortify it against repeated attacks by 13,000 Apuani warriors who arrive too late to fight at Cremona but still aim to do their part to destroy Rome. 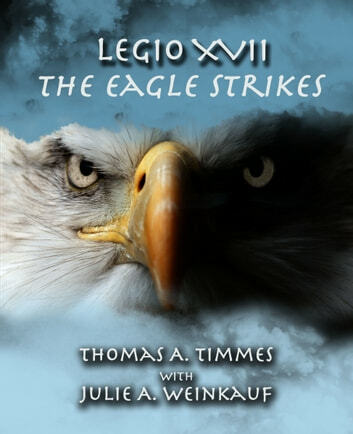 This story follows Titus, son of retired Praetor Manius Tullus of Legio XVII, from the time he marries the daughter of the Cenomani Chief in 205 BC, through his military training, to his participation in the Battle of Cremona in 200 BC.